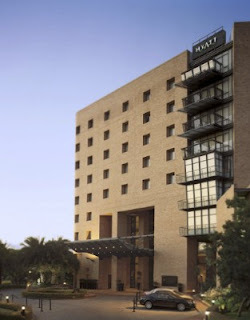 The Miss World 2009 delegates will stay at the luxurious Hyatt Regency Johannesburg Hotel at the suburb of Rosebank during their activities at the host city. 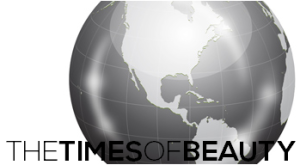 You can explore the prestigious hotel at the official website by clicking here. Las delegadas de Miss World 2009 se hospedarán en el lujoso Hyatt Regency Johannesburg Hotel en el suburbio de Rosebank durante sus actividades en la ciudad sede. Puedes explorar el prestigioso hotel en el website oficial haciendo clic aquí. 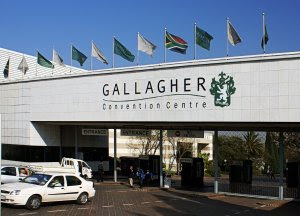 The venue for Miss World 2009 is the Gallagher Convention Centre, one of the largest convention facilities in Africa that can accomodate a multitude of 12,000 spectators. El Miss World 2009 se celebrará en el Gallagher Convention Centre, una de las facilidades para convenciones más grandes de Africa el cual puede acomodar una multitud de 12,000 espectadores. 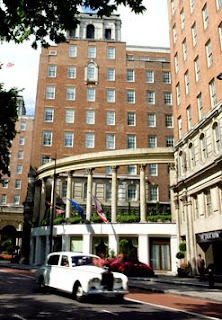 The Miss World 2009 delegates will stay at the iconic JW Marriott Grosvenor House Hotel while they are in London. You can explore the prestigious hotel at the official website by clicking here. Las delegadas de Miss World 2009 se hospedarán iconico JW Marriott Grosvenor House Hotel mientras se encuentren en Londres. Puedes explorar el prestigioso hotel en el website oficial haciendo clic aquí. 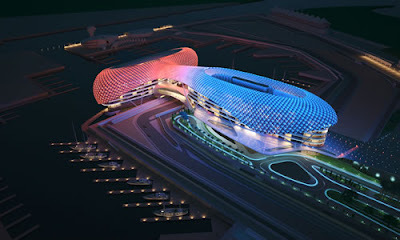 The Miss World 2009 delegates will stay at the Yas Marina Hotel in Abu Dhabi. You can explore the prestigious hotel at the official website by clicking here. Las delegadas de Miss World 2009 se hospedarán en el Yas Marina Hotel en Abu Dabi. Puedes explorar el prestigioso hotel en el website oficial haciendo clic aquí.